Shinwoo's Techno was similar and shape and play to the popular FreeHand 2 from Duncan. Response pads recessed on each side. 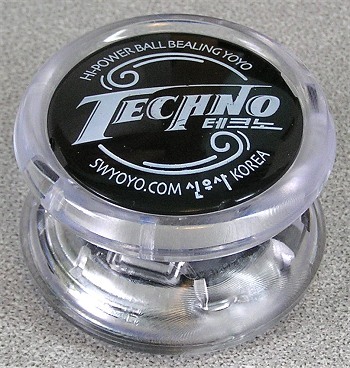 An interest import from Korea and a nice "Ball Bealing" yo-yo.